Disclosure and Sam Smith Release "Omen"
Netflix original series Sense8 concluded its first season this past June. Like many other Netflix series such as Orange is the New Black and House of Cards, the conclusion of the first season leaves viewers with undeniable anticipation and nail-biting preview releases aiming at a second season. The first hint of a second season for the sci-fi series created by Andy and Lana Wachowski and J. Michael Straczynski involving topics of telepathy and the connection of individuals through technology has evolved recently when a group of scientists used different individuals’ brainwaves to create a musical symphony. 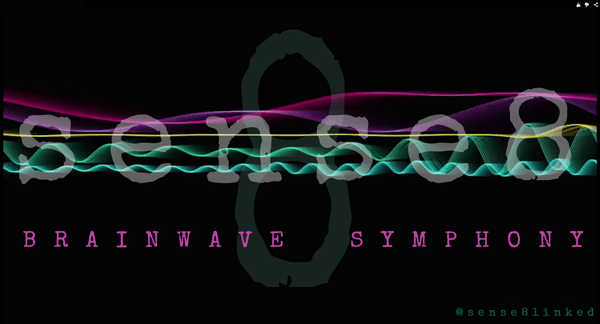 Entitled the Brainwave Symphony Experiment, eight individuals were asked to binge-watch the Sense8 series and afterwards, had their alpha, beta, delta, gamma and theta brainwaves tested through an algorithm searching for specific patterns after being exposed to certain stimuli that were then converted into different notes, sounds and rhythms. The product of the experiment doesn’t sound anything like a classical symphony by the greats such as Beethoven or Mozart, but rather has an electronic sound quite different from what one may expect based on the title of the experiment. The result: expect your favorite DJs to be mixing and mashing this into their next single releases. Chicago native living in Madrid, Spain. Recent graduate from Indiana University with a degree in journalism and a double minor in music and Spanish. Lover of music, dance, hooping, piano and travel.